Every year millions of Britons hire cars abroad to give them the freedom of the open road. Yet for many the hire car experience ends up causing stress and expense long after their tans have faded. The Post Office Car Rental Report discovered that 56 per cent of people who hire cars don’t cover themselves for tyre or glass damage and 76 per cent don’t take out cover against high excess charges. Failing to take both these simple measures can leave holiday makers out of pocket. 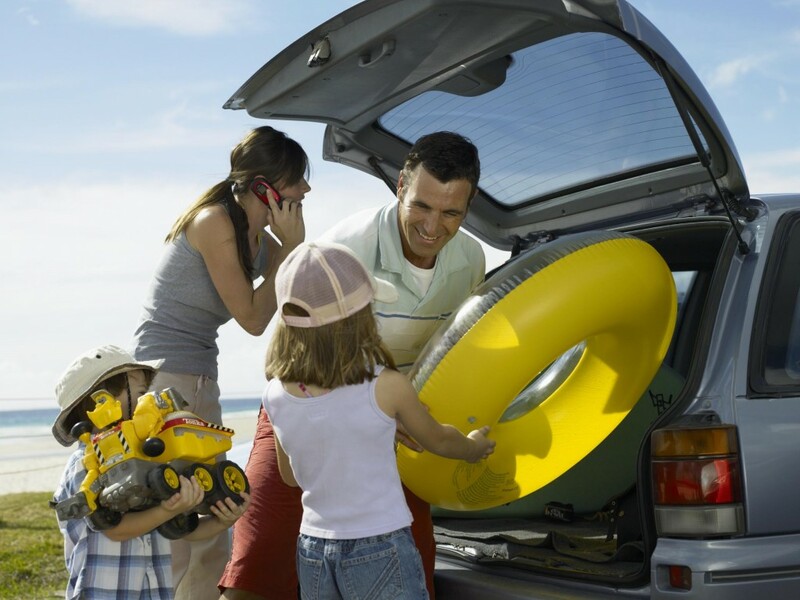 Follow our car hire tips to ensure that your holiday isn’t memorable for all the wrong reasons. Arriving at a crowded airport hire car desk after a gruelling flight, with tired hungry kids in tow who just want to get in the swimming pool, isn’t the place to be checking the terms and conditions of the loan. Do this before you hire, via the company’s website. Hire car companies’ conditions all differ so it’s worthwhile making sure that you know what you’re paying for and what restrictions are in place. When you book a hire car, consider the size. A five-door supermini such as the Peugeot 208 or Volkswagen Polo might be big enough to fit four passengers but cars like this tend to have quite small boots. And it goes without saying, having a heavy suitcase on a passenger’s lap could be dangerous in the event of emergency braking or, worse, an accident. In order to fit four people plus their luggage for a fortnight you might have to choose a larger hatchback, such as the Volkswagen Golf or Ford Focus. At the hire car desk you will be told that basic insurance is included so if there is an accident you won’t have to pay for repairs. However, you will have to pay the excess, which in some countries can amount to more than £1000. To insure against this, you will be asked if you want to take out insurance or Super Collision Damage Waiver. You want this extra cover – but not from the car hire company, which will be expensive. Organise this before you go away and you could pay £20 a week rather than the £20 a day some hire car companies charge. Make sure you’re covered for repairs to the glass and tyres. Not all companies include this and you don’t want to end up out of pocket if, through no fault of your own, your hire car suffers a puncture. If you book your hire car via a price comparison website, check you know what you’re paying for. Some of the cheaper offers allow you to return the car with no fuel remaining. However, when you hand the car back you could have to pay a £50-plus surcharge. The cheapest, most straightforward way is to agree to return the car brimmed with fuel. As you leave the airport look for a fuel station to use. Those five miles away from the airport will be significantly cheaper and the distance won’t register on the car’s fuel gauge. Make sure the car you collect is the one you’re paying for, so if you specifically ordered air-conditioning and child seats check it has those features. When you turn on the car’s ignition, make sure that it’s full of fuel. Your paperwork should have a graphic of the car with any damage marked on it. Walk round the car slowly and ensure the information on the paperwork corresponds with the reality of what you can see. (And remember to check the car’s roof.) If it doesn’t, alert a member of staff and get the paperwork changed. If there is any damage, it’s worthwhile taking a quick photo of it to prove you didn’t cause it – just in case. Finally, check that there’s a spare wheel and if not, a temporary puncture repair kit. Make sure the hire car firm gives you a phone number and information of what to do. Also ensure the hire car company furnishes you with extras such as high visibility jackets, first aid kits and warning triangles that are mandatory in some countries. See what you need here. When you return the car there may not be anyone to take it from you. If that’s the case and you need to drop the keys off, make sure you take photographs of it from all angles, including the mileage and fuel gauge. This is your insurance in case the hire car company tries to bill you for damage that happened after you dropped the car off. To enable them to recoup the cost of damage, car hire companies can take money from you when you’re not present. Even if you haven’t damaged the car, it’s still worth keeping an eye on your statements: it’s not unheard for companies to ‘mistakenly’ charge you for extra days, damage their employees inflicted or dropping the car at a location you’ve never been to. It’s sneaky that some car hire companies charge up to £50 as a surcharge for leaving the vehicle without fuel. Great tip though on fuelling up five miles before your drop off at the airport! I noticed you missed off young driver charges. I’ve noticed recently that the price for drivers under 23 despite how many years driving experience has sky rocked and seems to be very unfairly priced making it almost impossible for young drivers to rent a car.